Amazon launch their Android Appstore with rumour of exclusive Call of Duty app. It would appear that Amazon are using all of their normal market busting tricks as they launch their Android Appstore. Loss leaders and exclusive releases are being used by the retail giant to secure their position as top of the pops in the Android marketplace. The store opens next month but news of their proposed pricing and exclusive products were leaked by Androidnews.de yesterday who picked up on a prematurely published page at the Amazon website. The page was briefly seen at amazon.com/apps but as expected it’s since disappeared whence it came. Our friends at Androidnews.de did manage to take a few screen shots first though! 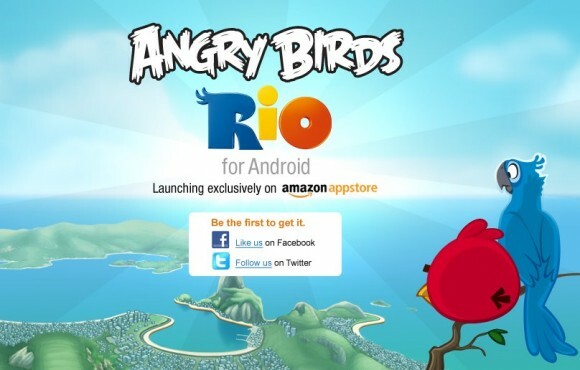 We’re all aware that they’ve already secured the exclusive launch of Angry Birds Rio. But news is that our favourite megastore has secured four other exclusive titles, including Call of Duty: Modern Warfare Force Recon to celebrate the launch. Angry birds and angry boys; what more could we Levellers want! It’s no surprise that Amazon are going to be offering some amazing deals, but it would appear that they’re pulling their normal tricks of undercutting the competition by offering a selection of loss leaders on popular apps, in essence offering them for less than the developers are selling them for. The developers have no need to worry though as Amazon will still reward them with the commission set at the non discounted price. There’s still no official launch date for the Appstore but we can’t wait to see what they’ll have on offer for us. Anything that opens up the app market and helps chip away at the power of Apple’s impenetrable walled garden is good, good thing! Is the Facebook v Google battle about to get interesting?